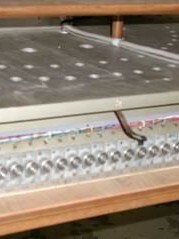 The parish music director acquired the Möller 2-rank “Chandelier” division that originally had been installed in the Moller factory erecting room. 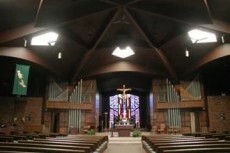 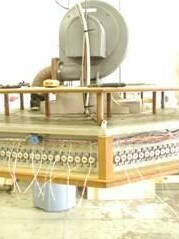 Buzard Pipe Organ Builders was selected to install and connect this unique equipment to the church’s 1968 Wicks instrument. 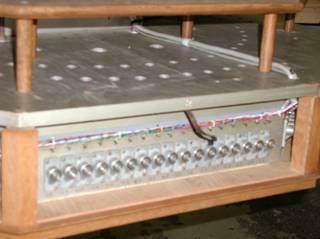 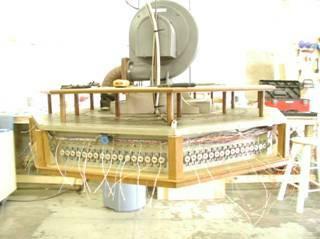 This included: installation of necessary additional solid state equipment for the chandelier unit to be made playable from the Wicks console; installation of a drawknob in the Swell division, and a free-standing box with seven tilting table stop controls; preparation of the Möller equipment, including installation of new cabling of sufficient length; installation of the chandelier unit; and tuning and regulation of the pipes once installed.